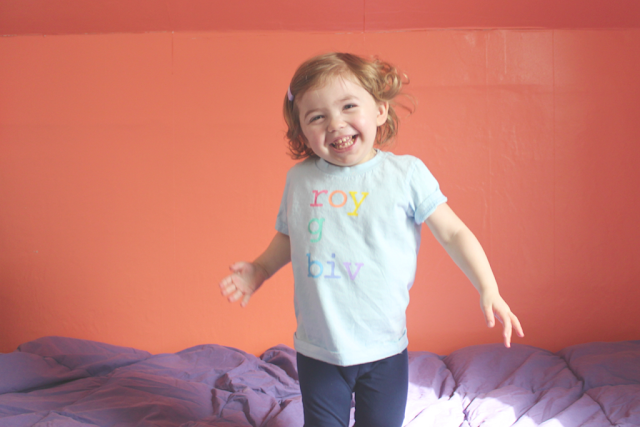 Raise your hand if you learned the colors of the rainbow by repeating roy-g-biv. I distinctly remember imagining a portly man with a black coat and funny mustache named Roy G. Biv. He was ordinary and plain, but when it rained he would whip out a rainbow colored umbrella with a wry smile on his face. 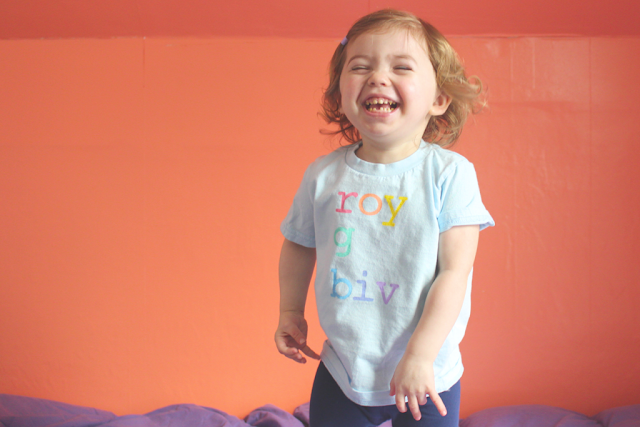 Yep, that Roy G. Biv is a classic man with a whimsical side and will always have a place in my heart. Here is how you can make your own shirt. 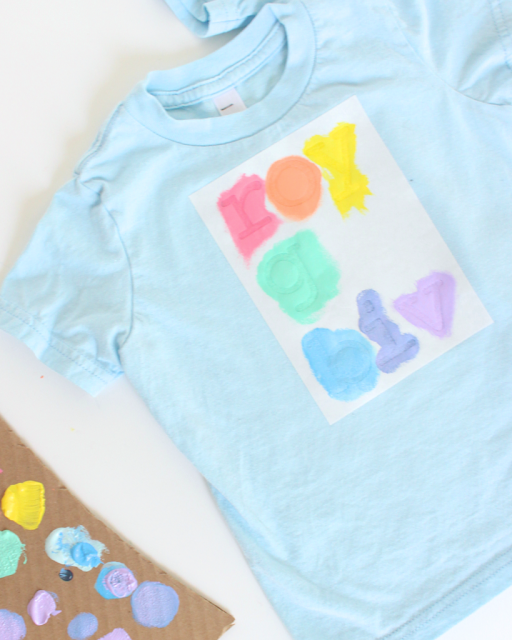 Supplies: freezer paper, iron, printer + x-acto knife or Cricut Explore, paint, paintbrush, and shirt. 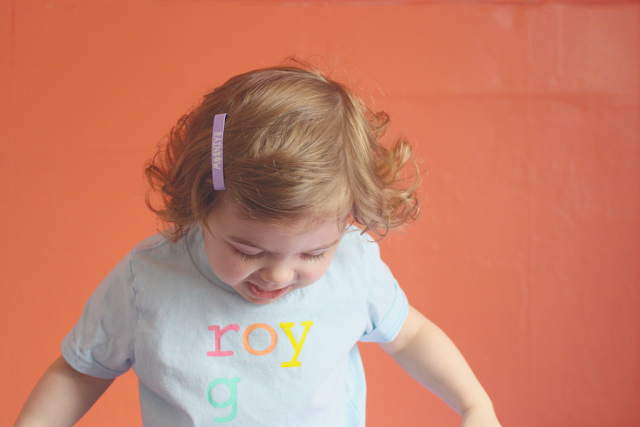 Process: If you use the Cricut Explore simply type in Roy G. Biv using the Courier New font, place the freezer paper onto a cutting mat, turn the dial to custom and select the wax paper setting, then press GO and watch the magic happen. Otherwise, print out Roy G. Biv in the same font, place under a sheet of freezer paper, trace, and then cut with an x-acto knife. It will take longer, but the results will be the same. Place the freezer paper onto the shirt and iron until it sticks. 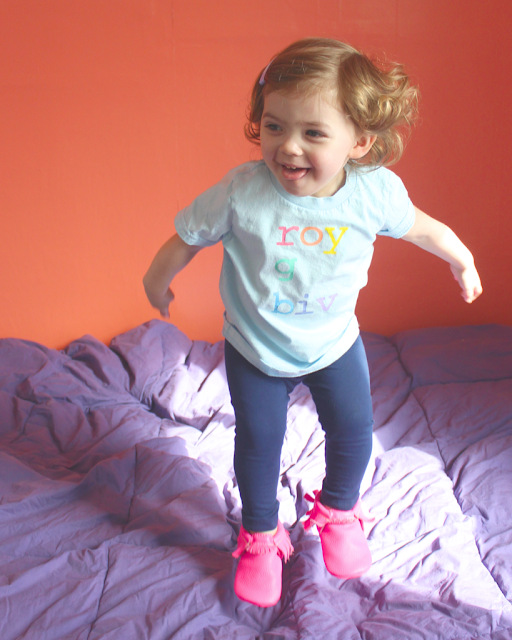 Then, blot paint each color onto the shirt. Time: I used the Explore, so the whole project took less than 15 minutes.